1) eine Karte für die Retro Sketch Challenge. Einer meiner Neffen wird im April ein Jahr alt - ich bin also früh dran. 2) Mit der Post aus Amerika kamen auch zwei Memory Box Stempel an. Dieser hier passt auch ohne Weihnachten noch sehr gut, wie ich finde. Mit ein paar frischen Farben sieht er gar nicht weihnachtlich aus. Die Challenge hier: Unscripted Sketches. Both are great cards ~ I really like the first one ~ a fabulous take on the sketch. Love the bright colors you used on it. While your one year old nephew may be too young to appreciate it, I am sure his parents will! Both cards are too cute! Great take on the sketches! Thanks for playing at US! What fantastic cards ... you rocked them both ... so very glad you joined us at Unscripted Sketches. Both are great cards. Love the color and clean style you create. THanks for playing along with us at Unscripted Sketches! It's really a great and useful piece of information. I am satisfied that you just shared this helpful information with us. Please stay us informed like this. Thank you for sharing. I am loving this card. I love the two deer and the papers. Great card Thank for playing along with us at US. Wow - these cards are just way too sweet! 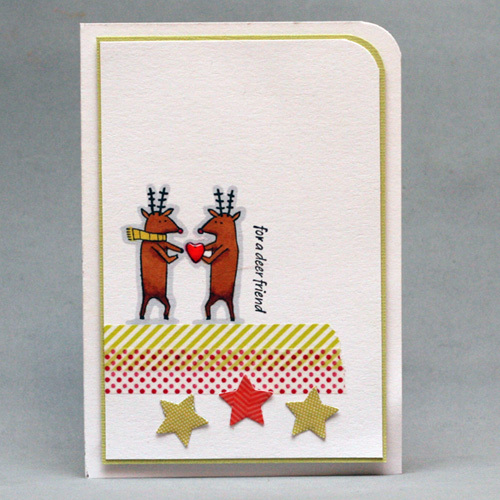 I love, love, love the Washi tape that you used on your 'deer' friend card! 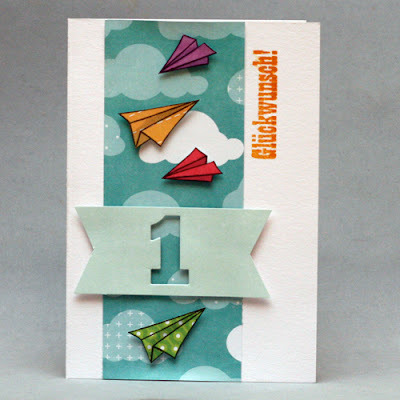 The stars are a great way to incorporate the sketch elements into your card....did you cover them with washi tape? Die sind beide total gelungen und süß. Ganz großes Kino ! Both of your cards are absolutely adorable! 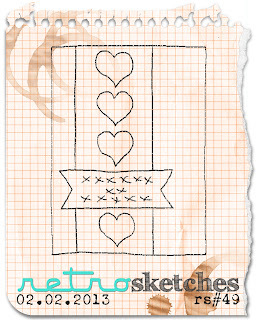 Love your use of washi tape in the sketch! Thanks for joining us at Unscripted Sketches.